During the 2010 summer season a large amount of work occured at Titanic Golf Club. The bunkers were renovated, some removed and some added to take into account improved golf club and ball technology, the Clubhouse was upgraded giving it a new identity and image, a new driving range building was constructed and the greens have been re profiled and expanded. The 13 acres of golf course adjacent to the Mediterranean sea and Beşgöz river has been left as original as possible and there are some beautiful views of the sea and river. Many tees are placed on the summits of the former dunes to further enhance these views that also include some magnificant views of the Taurus mountain range in the distance. The golf course has been designed such that it ensures playable conditions for all standards of golfers (even first time players) and the course layout makes best use of the existing landforms ensuring that there are no blind shots to fairways or greens. Emphasis was put on giving every 9 Hole Championship Course (The Mediterranean, The Forest and The River) its own character. 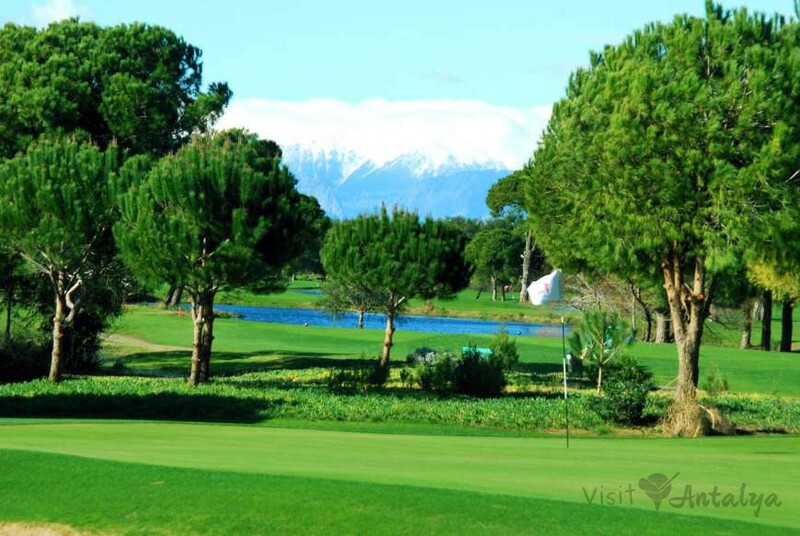 And each hole has its own playing and landscape character to make this golf course unforgettable for you. Last not least the Titanic Golf’s totally rebuilt practice area that is positioned close to the newly renovated Clubhouse. It comprises of one putting green, a putting-chipping green and two additional pitching greens for bunker shots and approaches up to 60m. The driving range has got three big target greens and has more than 40 training tees, for optimal training possibility. Titanic Golf Club will always make you feel most welcome; come and enjoy! fairway Generously wide and open.